The decision to engage in corporate social action (CSA), and the debates regarding its costs, benefits and implications to corporate performance represent a demanding issue for scholars and managers. Research is inconclusive regarding the causal relations between CSA, corporate social performance (CSP) and corporate financial performance (CFP), despite numerous empirical and theoretical studies devoted to the issue. This book presents an in-depth study of corporate social action and the factors influencing a decision to engage in it. Going beyond the causal relationship between CSA and firm performance, the book stresses the link between CSA and a firm's core managerial policies and practices, reflecting the complexity and varied facets of CSA and the numerous internal and external factors that influence its outcomes. The book draws on the experiences of various industrial sectors to reveal the importance of a range of issues such as top management pay dispersion and ownership structure, which may influence the firm's decision to engage in CSA. 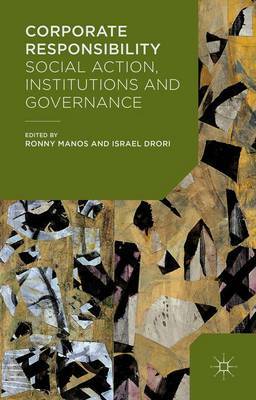 It also explores some of the external influences on firms, such as institutional norms, the geopolitical environment and the industrial sector. The first part of the book provides an overview of the thematic issues of CSA and performance. The second part presents a series of empirical studies that examine factors and determinants of CSA. The third part presents case studies to illustrate the processes and outcomes of CSA policy and strategy in environmentally hazardous industries.